Dunlop knows how to relax and go with the flow. 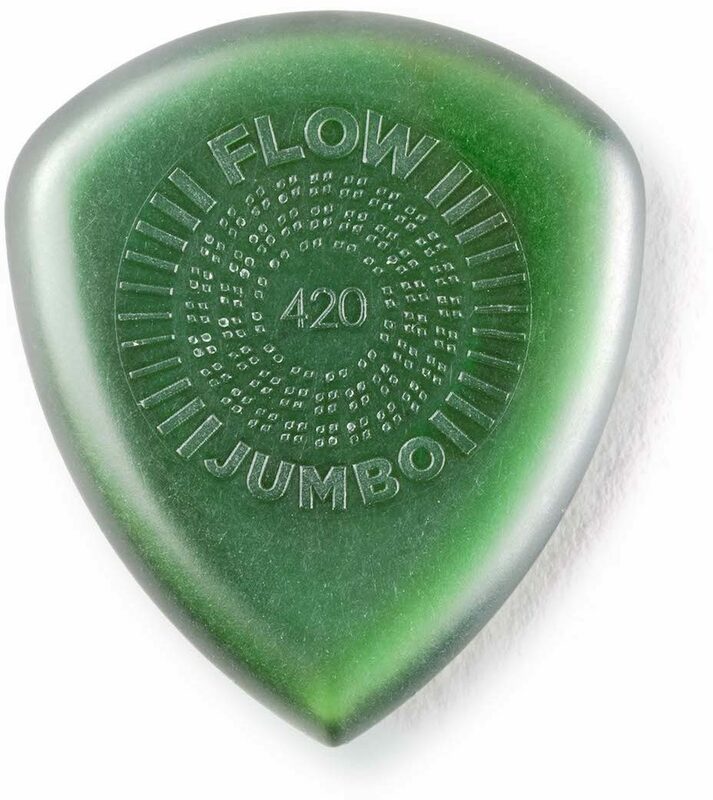 The Dunlop 547P420 Flow Jumbo 420 Guitar Pick embodies that tendency by providing a smoother, more comfortable experience. 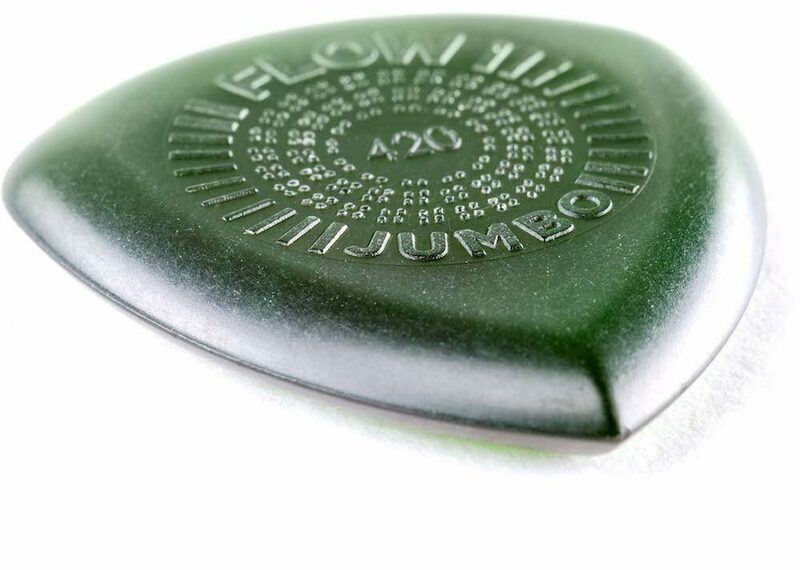 Like other Flow Picks, it has a wide angle, sharp tip, uniform bevel, and low-profile grip -- but this pick’s extra heft makes it even more ergonomic, play even faster, and project even louder with a smoother high end.